With so many things to do online, it is hard to find the right information that can lead you to make legit many. That is because three are so many written information about ways that you can make money that it becomes hard to decide what is true and what is not. With so many jobless people around. People fall into temptations of making money quick. There is so many information’s circulating on social media on how you can make money in an easy way and as desperate as people are, they and up duped into suspicions ways of making of conning people. When you make the dollars, you need to look for a way to get the money to reach you. that is why service providers have come up with many ways of transferring your money from the person paying you and you. thanks to them your money can come safely into your hands. What happens if you don’t have the skills? You will end up being desperate and looking for any way that you can make money. This is how you become an easy prey for predators who look for people in desperate need of making money quick. What do they do? They come up with suspicious ways of convincing you how you can make a lot of money online without doing anything. Who doesn’t like free money? Even me I would be tempted into trying out if I didn’t know they are suspicious. One of this way is through PayPal money adder. What is the PayPal money adder? Without getting into details on who is the creator this crap, I know you are wondering what it is. Well, it is a software that you can download or still web-based. It means you can have it in your device as an app or you can go online and come across it. what does it say? They have this way of enticing you into downloading it or enticing into their website, they do this by promising to add you a certain amount of money into your PayPal l account without breaking a sweat, now this sounds suspicious right? 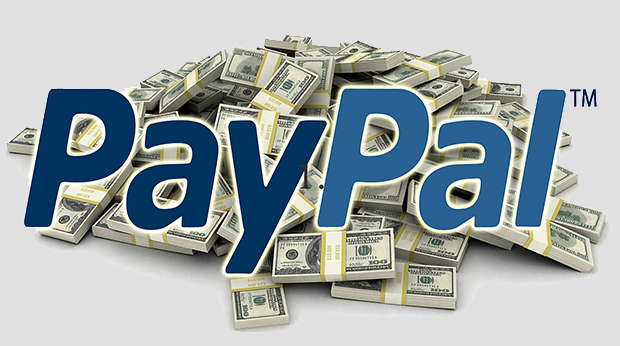 if you are new in the online world, you might not be familiar with PayPal. what is a PayPal account? Receive payment from different employers all over the world. Make payment to various service providers and online. You can purchase goods and services online without having to travel. They promise free PayPal for you. They claim that once you have the money, you can withdraw whenever you want. That you can transfer the money to your bank account. You can buy goods online with the money. You can access the account from wherever you are since it is online based. With the above benefits, it makes PayPal an easy target to entice you. with the software, PayPal money adder promises you to add money into your PayPal account after a certain period. All you need to do is select the amount of money you want into your account and that’s it. What do they need from you to complete the process? When you start the registration process, they will need your full names. Since they are targeting your PayPal account, they will insist that you give your names just like they appear in your PayPal account so that it will be easier for them to make payment into your online account. When you are opening a PayPal account, an email is required. The email will be your username when you are login in your PayPal account. These scammers want you to give them that email n the registration process and as usual, you will be tempted to give them since you want the cash. They need this information to know your location. The information will help them convince you how legit they are. They need to know which country you are from to know the currency you use and to know how easy it will be easy for them to dupe you. Just like any registration process online, there is a point where you are required to verify whether you are human or not. To them, they give you a survey. Since they come in different forms, they have different questions that you need to answer, what you don’t know is that they are extracting information from you. How are they duping you? If you are new in the freelancing industry, you will wonder how they will be duping you. After all, you have not given them the password to your account or any information that can make them access your account, this is where you are wrong. With the information, they can do a lot. They can gain access into your PayPal account with the information that you have given them. With that, they can drain all the money into your PayPal account and in the linked bank accounts. You might wonder how they do that. They get your information through the survey. The questions they ask might be a way of leading you into giving them the information that they want. With that, they wipe all the money from you. Have you ever heard of people harvesting emails and selling them? Well, this is how they do it. your email can end up being sold to affiliate marketers. What do they do with the emails? They will start sending you suspicious and annoying emails selling their products. These people are good at what they do. They may dupe you into buying a product from them before they deposit the free money. They are so good at convincing such that you may end up buying the product. This can be an online game or software and by doing this, they make money from you. Yes, with how suspicious they are, they can dupe you into many things. this includes as simple as downloading a suspicious software that comes with a virus attached to it. Once you have the software in your device, they corrupt it and get the information that they want. It should be an alert to anyone who wants to venture online. Beware that there are many legit ways of making money, but no money comes in an easy way. You must use your skills and work for the money to come into your PayPal account. For the reason above, it should be noted that PayPal money adder is a scam. It is made to dupe you into giving them the information that they need to harm you. They can get your money for your account, your email and can bring harm to your device. Stay away for your PayPal account to be secure.